… a very special ‘grown up’ evening for 30 guests with a sit-down meal followed by dancing. Simple and stylish. … listening to mum and daughter, a space was created in a marquee on the lawn for Rose to create her ‘interior vision’. Rose had very particular ideas on her theming so we lined the marquee in ivory pleated linings to the dining area and black out linings in the dance area and then let Rose take over. 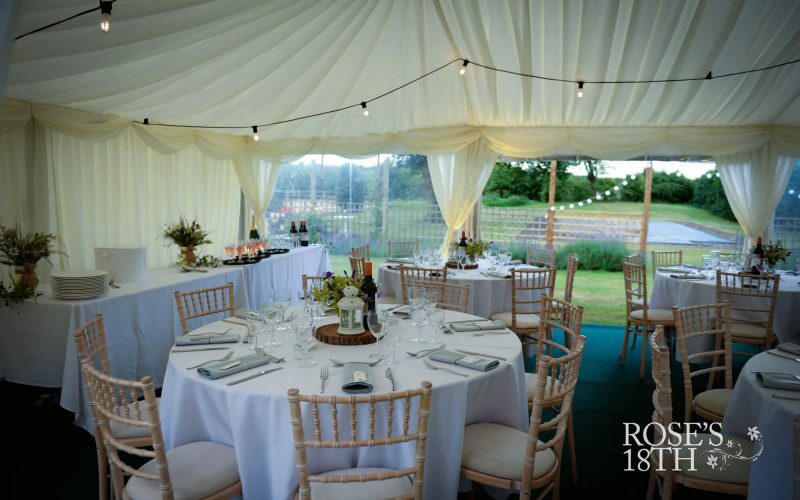 We added festoon lights to help create the look/feel that Rose wanted, a parquet dance floor and with uplights around the sides of the marquee, the scene was set for a wonderful evening. 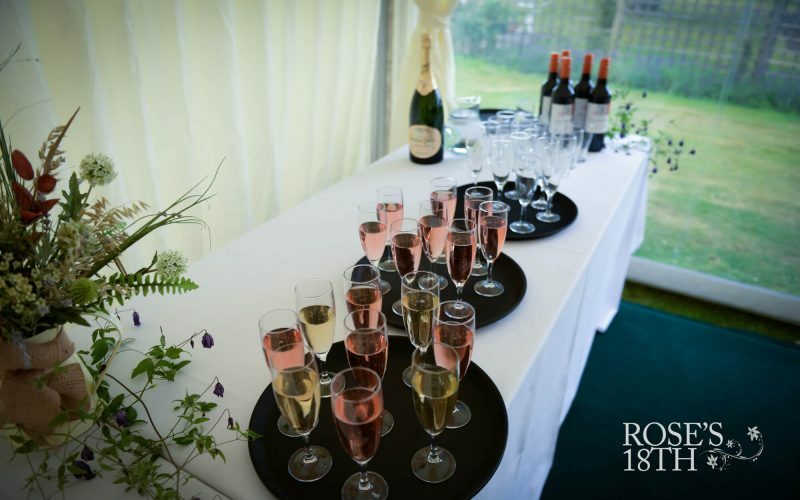 Drinks were served on the terrace and then the guests went down to the marquee for the evening. 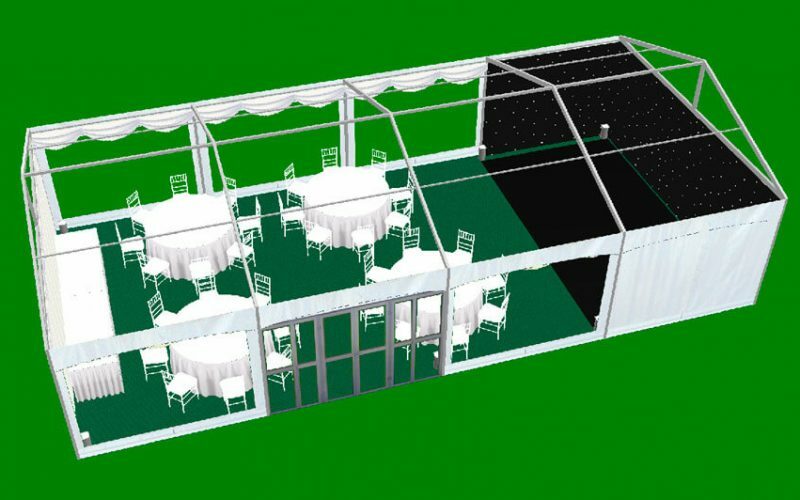 This setup is ideal for small, intimate gatherings when extra space is needed in the garden saving the need to find a venue. Photos courtesy of Shuttr Media.